Up until about a year ago, and thanks to a friend with an Etsy shop, I wouldn’t have known what a black tourmaline was. 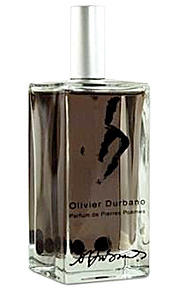 Olivier Durbano apparently has a gemstone inspired line of fragrances of which Black Tourmaline is a member of. In Bottle: Dark, smoky with a lather of leather and woods. Very dry and reminiscent of fallen autumn leaves and incense. Applied: A bit of spice that darkens the instant the leather and oud rolls in. There’s a heady incense note that takes over after the initial spray and makes me think of leaves and autumn with its spicy, smoky woodsiness. The leather is well-behaved, it adds a bit of complexity to the fragrance without distracting from the rest of it. I get mostly incense with a bit of spice and plenty of woods. Very lovely, very complex and things get better as the scent continues to dry down as it takes on a warm mossy bit that adds to its spice and incense. Extra: Tourmaline is this beautiful semi-precious stone that comes in a wide variety of colors. There’s some spiritual and healing properties that some people affix to it, but I prefer to look at it in a strictly scientific sense. Black Tourmaline, the fragrance was released in 2007 and is still available today on Luckyscent. Design: A tall, square bottle. Not the easiest to hold or use, but not the worst, by far. Its simple design wins some major points from me as does the beautiful (and appropriate) color of the juice. Nice overall presentation. 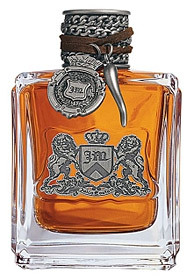 Notes: Cardamom, coriander, cumin, frankincense, pepper, oud, leather, woods, musk, amber, moss, patchouli. Strangely enough, I had been harboring some hidden love of rocks and gemstones that Black Tourmaline has resparked. As if the gardening I had taken up in my off hours wasn’t distracting enough. Reviewed in This Post: Black Tourmaline, 2008, Eau de Parfum. I had left this one in my stack of samples for too long. Now it’s time to crack her open and get a face full of Odeur 71. In Bottle: Herbal with a distinctly burnt quality to it. I’m thinking the incense with the woods mixed with herbs and spices. Applied: Odeur 71 is heavy and heady as it starts off with a burnt wood and spice mixed with herbal notes that carries the fragrance up to your nose and makes you wonder if you left something in the oven. It’s a disarming scent, bizarre, a bit repulsive, but at the same time attractive in an indescribable way. It smells of woods more and more as I wear it but the burnt smell also follows it along. The herbs get a bit stronger too, making the fragrance just a bit greener as I keep wearing this, as the fragrance ends with a synthetic burnt plastic-like aroma at the end of it all. Extra: Comme des Garcons reportedly calls this the “anti-fragrance” said to be inspired by dust on a lightbulb, metal, and lettuce juice. All wonderfully pleasant things to think about but I’m not sure Odeur 71 really delivers that special olfactory experience so much as it delivers a burning synthetics sort of fragrance. Design: Bottled in a rectangular flacon. The design is less whimsical in my opinion but it is functional and contains just enough quirk to firmly label it as a Comme des Garcons. Nice to look at, but there’s more interesting stuff out there if you were looking at this purely from a bottle 2011design standpoint. Notes: Incense, wood, moss, willow, elm, bay leaves, bamboo, hyacinth. Not the kind of thing I see myself wearing every day as I don’t quite enjoy the mix of herbs and burnt plastic. Still, it’s got great projection and longevity. So if you’re into that kind of thing, hey. 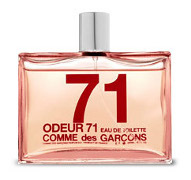 Reviewed in This Post: Odeur 71, 2010, Eau de Toilette. I don’t know how Curve Crush managed to squeeze itself into a position so polarizing. We have people on one side loving this stuff while people on the other side are having Curve Crush bonfires and reconsidering the quality of such an idea. I’m with the bonfires on this one. I’m sorry, but I kind of hate this fragrance. In Bottle: A strange melange of herbs and sweetness. It’s not sweet like candy sweet but sweet as in “this shouldn’t be sweet but it is” sweet. All this coated with an aqua or marine note which makes me think of Cool Water gone wrong. There’s quite a huge dollop of white musk and moss in this too which just seem to come right out of left field. Applied: That opening of sweet herbs and the lingering bizarre white musk and moss. This smells like a mess from the get-go, like it wasn’t blended properly and I can see where people are coming from when they say this is very synthetic. I can forgive a synthetic fragrance if it’s done well, but I don’t think Curve Crush for Men realizes there’s a line that shouldn’t be crossed. There’s so much scrubbed, clean, sharp and sterile synthetic notes in this stuff that it smells more like a weird cleaning detergent than a fragrance. The mid-stage is a bizarre blend of that musk and moss stuff along with some plastic violet and spicy ginger situation layered over a persistent cloying sweetness. It heads into its dry down with a moss note so synthetic I can taste it in the back of my throat. Extra: Curve Crush for Men is a member of the Curve line by Liz Claiborne. Despite my displeasure with this particular fragrance, the other members of the Curve line are decent scents. Design: I’m not sold on the bottle here but I k now packaging’s not the highest priority when it comes to fragrances like this. The bottle is made of a mottled glass, with a tint on it. It’s got a good weight, the hold of it is decent, the design itself is uninspired and reminds me of an Old Spice bottle with a Flowerbomb tag sticking out of it. 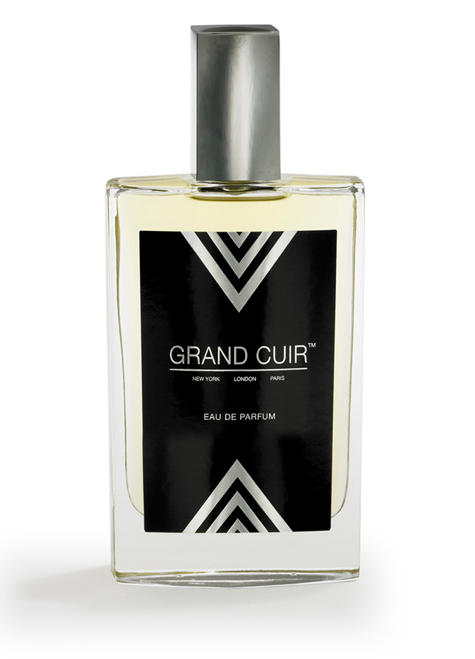 Notes: Bartlett pear, muguet aldehyde, basil, coriander, bergamot, ginger, violet, lavender, sage, cardamom, vetiver, musk, moss. I know this is a budget fragrance, but if you ask me, it’s a pretty terrible one. You want a budget fragrance that smells good and is well-composed? Old Spice. As cliche as that is, Old Spice beats this hands down. Heck, I’d pick Old Spice over a lot of higher end fragrances too. The point is, this fragrance is overly synthetic, uninspired and smells like it wasn’t blended properly. 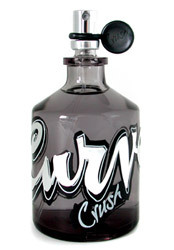 Reviewed in This Post: Curve Crush, 2009, Eau de Toilette. All right, so I owe lemon a bit of an apology. It’s not the sole destroyer of scents for me. No, that prize goes to cedar. And when you add lemon into the mix, it’s like a mastermind and his nefarious sidekick getting together for an evil soiree. Oh yeah, Dirty English. Dirty English lacks the sharp lemon that would destroy worlds if it were also present in this stuff but it has plenty of cedar. Oh yes. Plenty of cedar indeed. 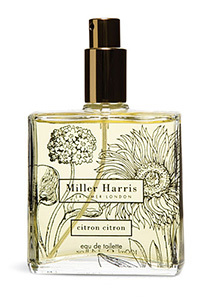 In Bottle: Smells a little leather, a little woodsy, with a nice citrus kick at the start to wash things up. There’s a nice density to this fragrance that gives it a good smooth scent. Applied: The leather is a very pleasant thing for about two seconds before Dirty English dissolves into its mid-stage where I end up losing everything but cedar. There is a lot of cedar in this fragrance, and a lot of perfumes can overdo cedar and end up with something highly unpleasant. Bonus points taken off for including lemon with cedar thus making the concoction a sharp, chemical, and highly unpleasant mix to my nose. But Dirty English only tangos with cedar. And the dancing must be quite good because cedar is the predominant note for hours and hours on end until Dirty English decides its had enough and shifts into a more pleasant, slightly less obnoxious cedar with a bit of bitter, musty mossiness that I can assume is the agarwood at work. The agarwood is done quite well but is tempered by a sweet, warm ambery note and a dash of spice. Overall, Dirty English is a good masculine scent that’s had a lot of good press over the years. I only wish I could smell something other than cedar because there’s really a lot of it in this concoction. Extra: Well, I finally tracked down and smelled Dirty English. I think that would be that for the readily available Juicy Couture line (not counting the pet fragrances). Design: Dirty English shares a similar bottle shape with Juicy Couture and Viva la Juicy. It’s missing the big plastic crystal that the feminine perfume bottles tend to sport with a metal cap embellished with a chain instead. I do like the shape and nice weighty feel of the Juicy Couture bottles and the dual-purpose of the embellishments are a nice touch. Notes: Pepper, mandarin, blue cypress, bergamot, cumin, cardamom, marjoram, leather accord, sandalwood, Atlas cedar, vetiver, agarwood, moss, amber, musk. I really Dirty English had been a little less loud with the cedar as it sounds like it would have been a really nice fragrance that at least tries its best to shift itself a little further away from the standard men’s scent. Reviewed in This Post: Dirty English, 2009, Eau de Toilette. If you want tuberose, you usually don’t have to look far. The fragrance industry is inundated with tuberose scents. From the highest end to the shower gels. Sometimes tuberose is even masquerading as gardenia. But if you want a really bold, really classic, very true tuberose, you get Fracas. In Bottle: Powerful hit of sweet tropical, juicy, slightly rubbery tuberose. Fracas is very strong. I want to come out and warn you of that right away or I would feel bad. Aside from its strength it’s a lovely thing. It smells like the times must have been like back then, elegant and classy with a bold streak. Applied: Wet rubbery tuberose with a sweetness added to it. This smells like a giant bouquet of flowers with a dominant tuberose the size of a skyscraper. The flowers, despite all their best efforts, are secondary to the tuberose that’s so massive and appealing that it can’t really scream any louder than it does in this fragrance. Unlike most people, and you shouldn’t go by what I say, I don’t consider tuberose as a sultry flower. It smells like slick rubbery floral to me and that’s about as far as I can take it. 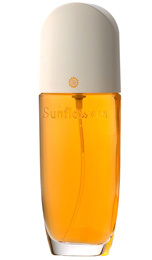 If you do happen to think tuberose smells sultry, then Fracas is sultry in a bottle. As the scent progresses, you start to wonder if it will ever end as not only is Fracas fantastic in terms of projection, its longevity is to be complimented too. There’s a subtle spiciness to Fracas if you wait her out long enough which gives the tuberose something to talk to as up until that spiciness, all I had was a big white floral. Extra: Fracas was released in 1948 and is a classic by all accounts and purposes. It has become the go to scent for tuberose and its reputation is well deserved. It has survived this long as a reference and a piece of history and I’d like to believe it’ll survive for a good six decades too if you never wash it off. Design: The eau de parfum is bottled in a fairly plain black bottle with hot pink lettering depicting the fragrance’s name and house name. Not Earth shattering in appearance but you don’t buy Fracas for the bottle. Notes: Green notes, mandarin, bergamot, hyacinth, geranium, peach, tuberose, jasmine, orange flower, white iris, lily of the valley, violet, jonquil, carnation, coriander, balsam, vetiver, orris, sandlawood, moss, cedar, musk. If someone hadn’t pointed me to that massive list of notes, I never would have believed it. Just as a point of interest because I know someone might be looking for this, you pronounce Robert Piguet like, “Row-Behr Peeg-Gehy”. You pronounce Fracas as, “Frah-Cah”. Reviewed in This Post: Fracas, 2002, Eau de Parfum.